The kitchen is most likely where you spend the majority of your time at home, whether you're cooking for your family or entertaining guests. But this central hub can sure feel cramped if it doesn't have the square footage you need to be stylishly organized. Thankfully, there are a few simple design tricks you can use to get the most out of every inch in this space — like filling a two-tiered storage basket with fruits and vegetables, or storing your knifes on a sleek wall-mounted magnetic rack — so that your small kitchen can be streamlined despite its tight squeeze. We've gathered 14 efficient items to help you get started, so you can also have a clearer mind, too. The best way to get clutter off your counter for good is to give everything a proper home. 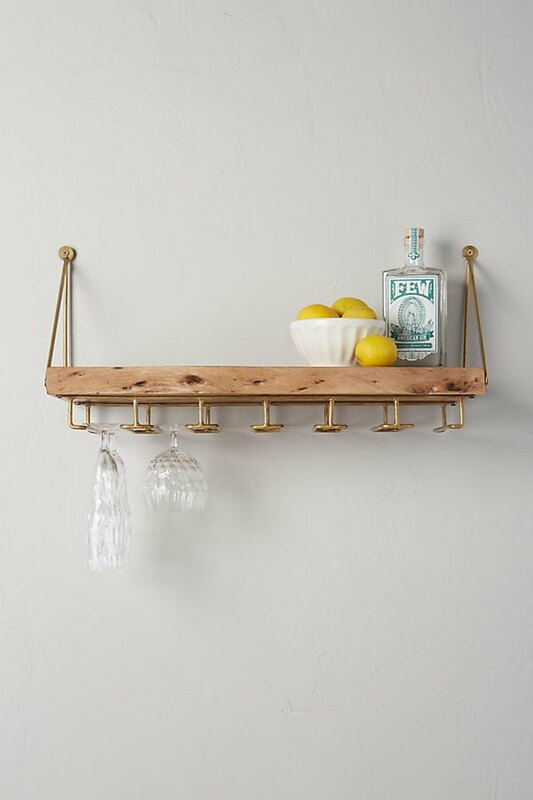 This live-edge bar shelf from Anthropologie ( $178 ) will house your stemware on the lower half and other garnishes on top. Add things like a bowl of bright citrus or a bottle of spirits to make your new bar double as decor. 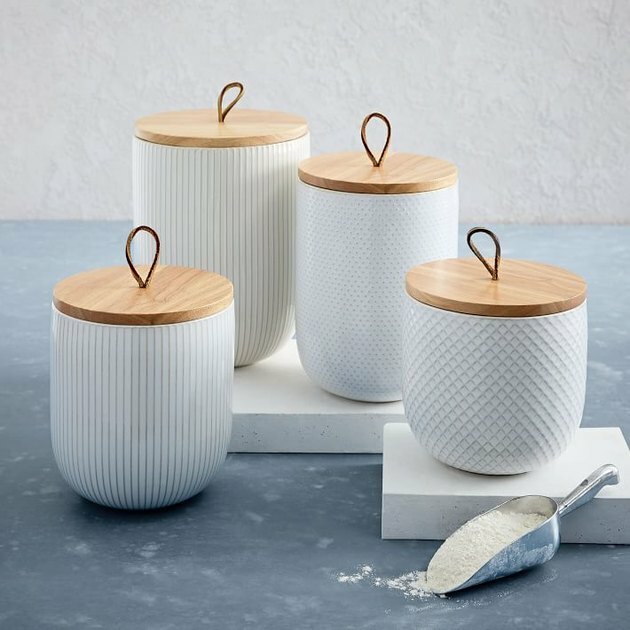 Keep basics like coffee, flour, and sugar contained with these textured kitchen canisters from West Elm ( starting at $24 ). Subtle details like the white tone-on-tone designs, wooden tops, and simple leather handles will make these pop — even when placed against a white backsplash. 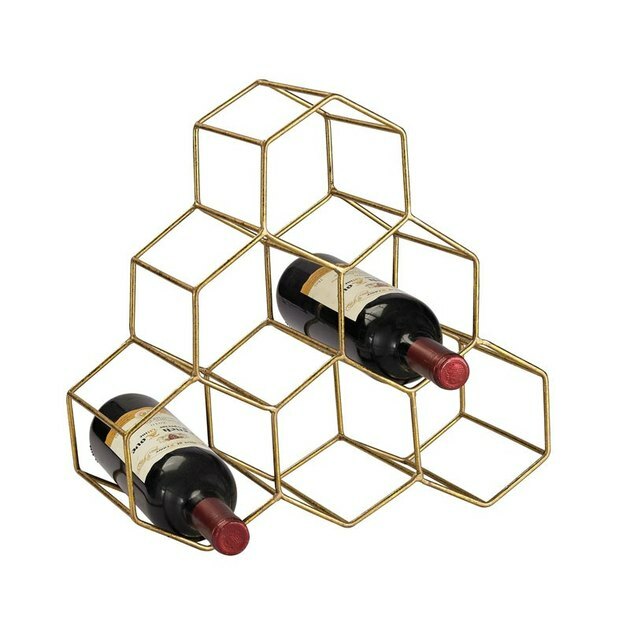 This wine holder from Lulu & Georgia ( $50 ) will dress up your counter and keep your bottles of rosé out of the way until you're ready to open them. Fill just a few of the slots to show off the item's geometric shape and gold frame. A knife block takes up valuable counter space, and every bit counts when you don't have much to work with. 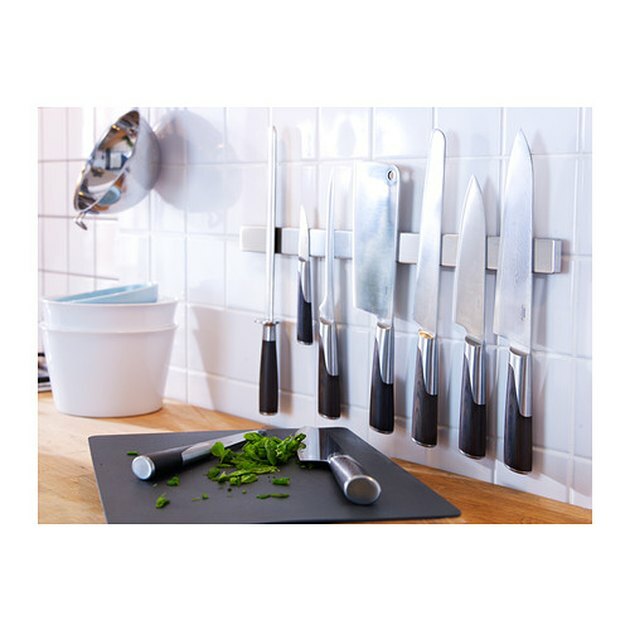 Instead, opt for this magnetic knife rack from Ikea ( $8.99 ) to keep your knives organized while freeing up necessary prep space. 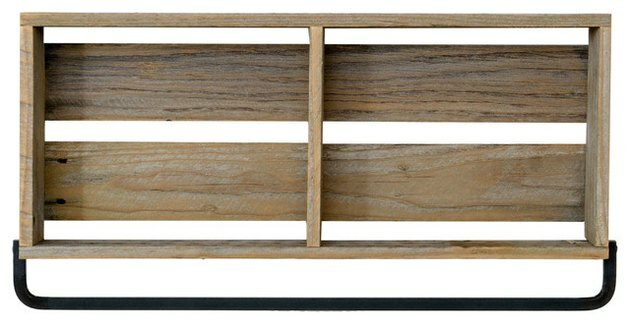 As the perfect place to display your vast collection of spices, this wood shelf from Houzz ( $39.99 ) will keep your most frequently used seasonings at your fingertips. Place an easy-to-grow plant on top to inject a bit of color into your modern kitchen. 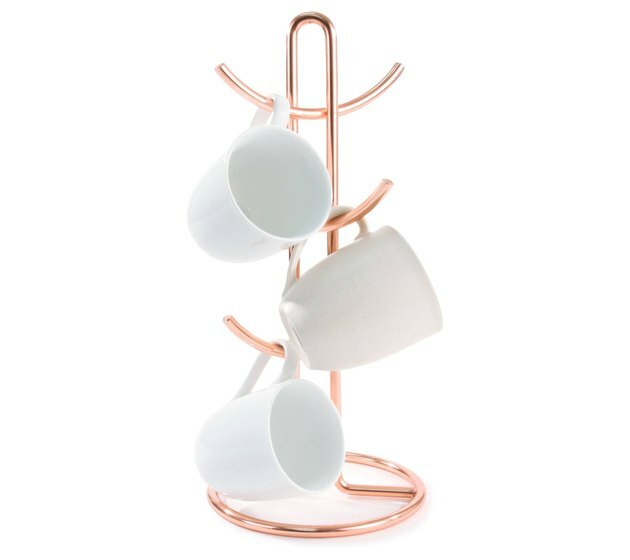 Storing your mugs next to your coffee machine will look chic, thanks to this spectrum euro mug holder from Target ( $7.99 ). Plus, it'll free up some valuable cabinet space, too. 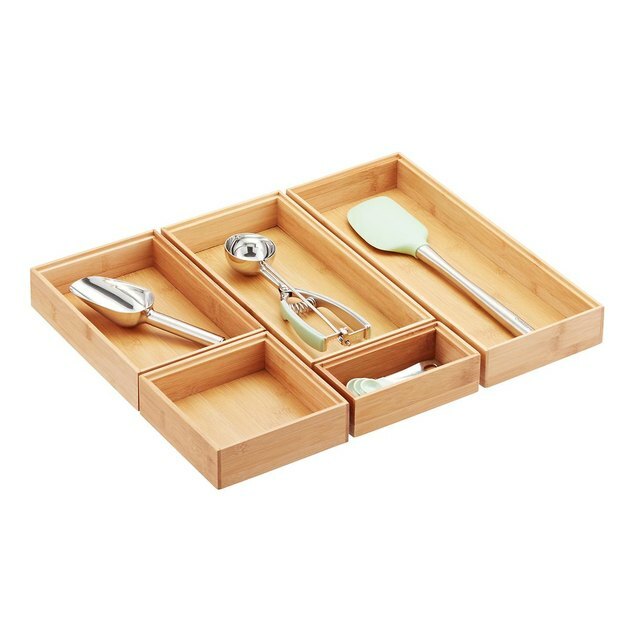 Impeccable organization is key in a small space, and this stackable bamboo organizer from the Container Store ( starting at $3.99 ) will make sure it's done right. Build a small maze to fit any drawer, and this pick will ensure that your necessities are always in their rightful place. Make the most of your minimal counter space with this double utility bowl from Wayfair ( $109.99 ). Use it to store your weekly farmers' market haul and you'll be able to fit twice as many items in half the square footage. 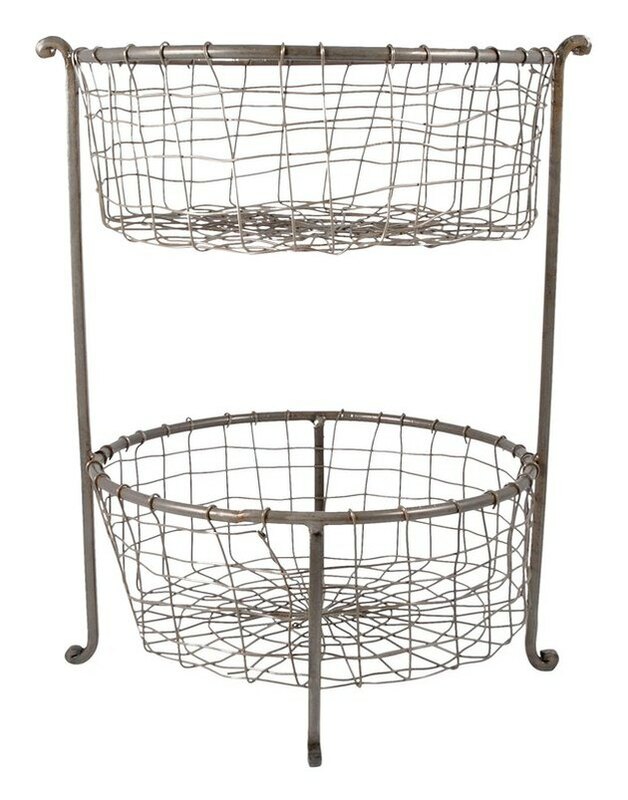 Hang up dish towels and aprons where you can easily reach them without damaging your pristine walls with multiple nails and hooks. This towel bar from Bed Bath and Beyond ( $24.99 ) has three arms that will keep those items nearby and out of the way. Let your sponge hang out to dry in style with this kitchen sink suction holder we spotted on Amazon ( $8.99 ). 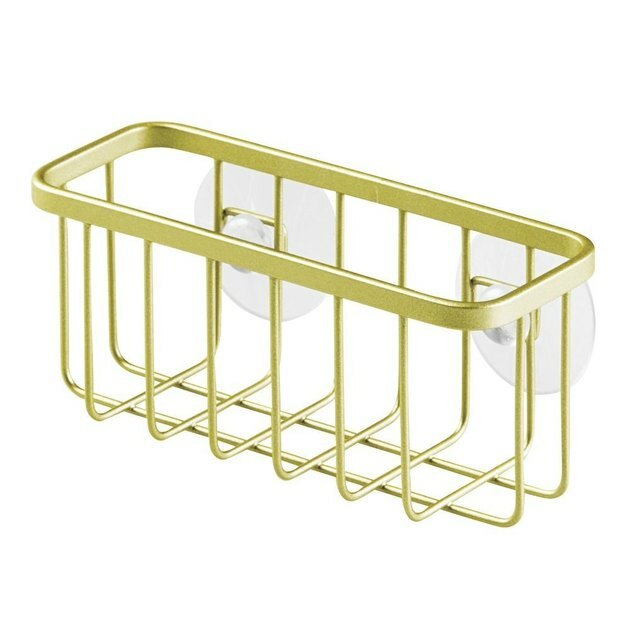 The gold cage design will add a dash of sophistication to even the most mundane part of your kitchen. 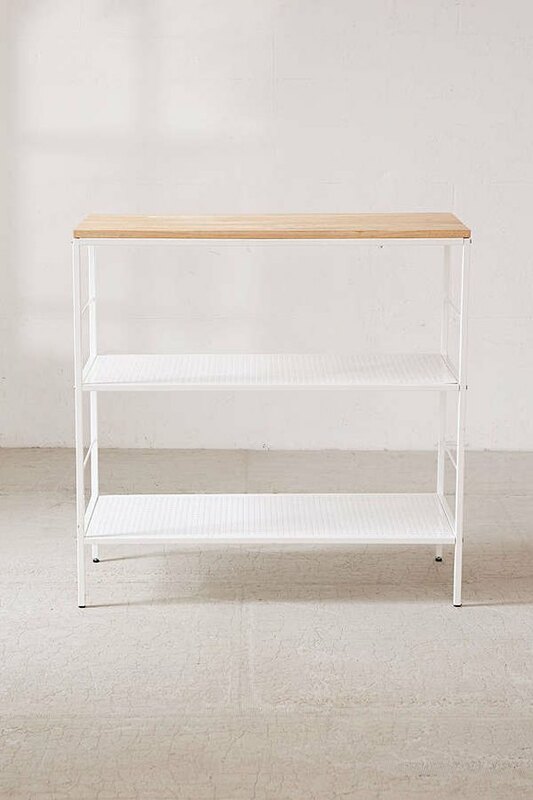 This sleek counter table from Urban Outfitters ( $289 ) will give you extra space to store everything from kitchen appliances to bar supplies. And while it may start out in your kitchen, we could easily see this piece working in an entryway, bedroom, or office, too. 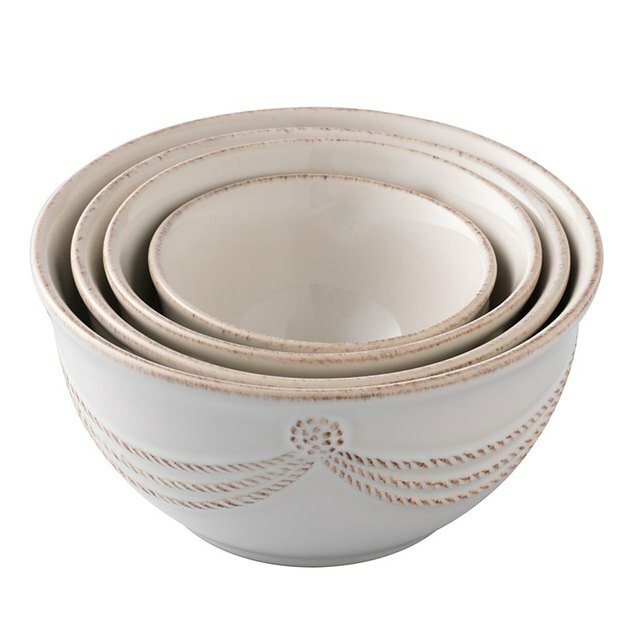 This set of nesting prep bowls from Bloomingdale's ( $49 ) are the only ones you'll ever need. Not only are they dishwasher, oven, and microwave safe, they're even pretty enough to serve at your next dinner party, too. 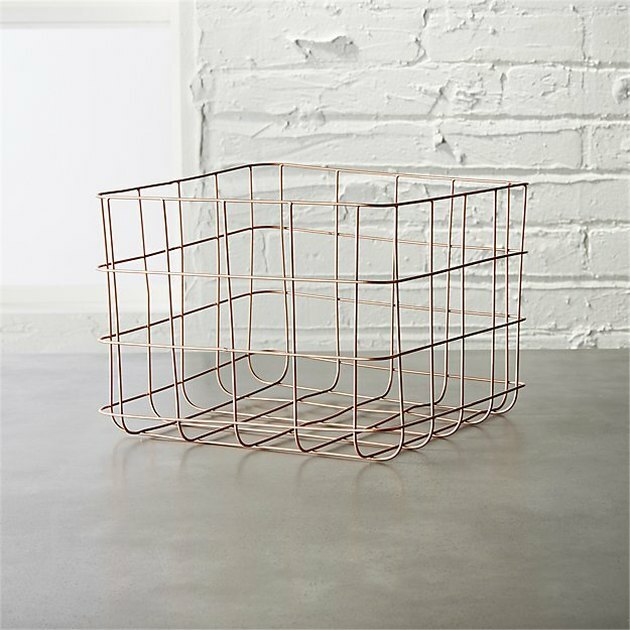 Use this copper wire storage basket from CB2 ( $19.95 ) to make sure your favorite cookbooks are easy to find. 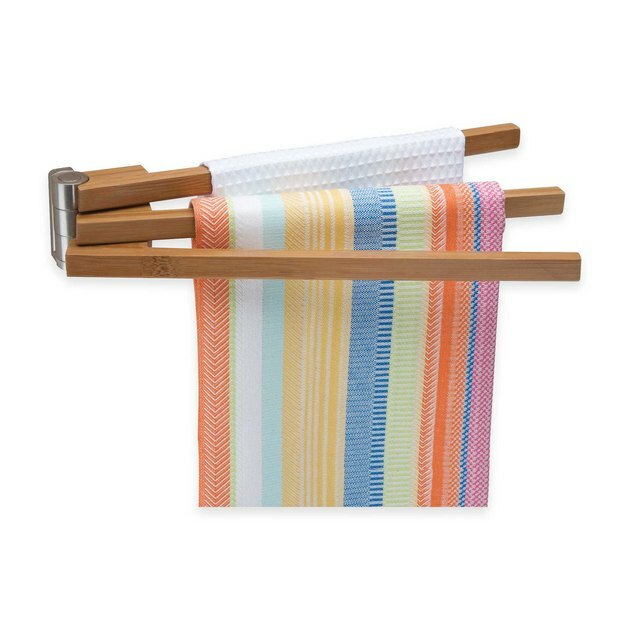 You can also use this to contain and display rolled hand towels, if you're looking for easy access to those. 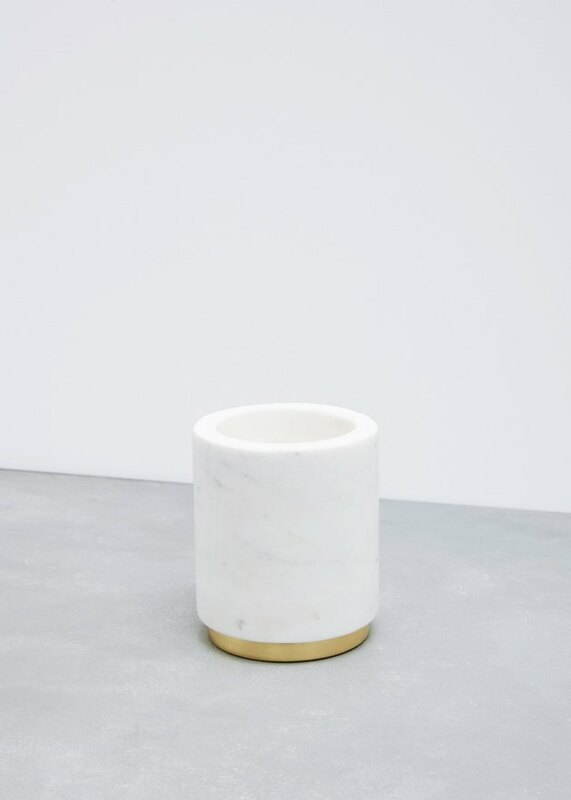 Corral your cooking utensils in this marble and brass utility canister from Totokaelo Art ( $50 ) to instantly make your kitchen look pristine. Pair with wooden spoons and spatulas to garner the biggest impact.